Flowers are a big part of people’s lives. Their beauty and color allows us to convey our messages perfectly ­ get-well-soon for our sick friends and family, congratulatory messages to a newly promoted colleague, condolences to a grieving family, and to express our love to another person. Every occasion is celebrated with flowers. Or even without an occasion. Recent trends indicate that majority of those who buy flowers buy it for themselves. The American Floral Endowment Consumer Tracking Study conducted in 2000 showed that about 67 percent buy flowers for themselves, and only 33 percent buy it as a gift. It is thus no wonder that flowers have become big business. The Society of American Florists estimates that the floriculture industry will sell $19 billion in flowers, plants, and floral supplies for 2001. There are about 26,200 retail florist shops in the United States today making an average of $250,191 in annual sales. If you love flowers and have an innate artistic ability in creating wonderful floral arrangements, you may consider starting a florist shop. 1. Wholesale florist service ­ — supplies retailers with fresh-cut flowers and potted plants. They may sell and deliver directly to flower and flower shops or they may sell wholesale produce and flower markets. Some wholesale florists are growers as well. This kind of business requires extensive knowledge, experience, and funding; and thus, is not suitable for start-up entrepreneurs. 2. Retail florist service — ranges in size and function from a hospital flower kiosks to large flower shops in the mall serving different customer needs. A flower shop may focus on providing arrangements for weddings, funerals, gifts, and other occasions and deliveries. A business floral service caters to business people and whose floral designs tend to be more conservative and longer-lasting. A hospital flower kiosk offers primarily bright and cheerful flowers that need little maintenance as possible. You can also choose to create a niche. There are some online stores that sell roses primarily. 3. Floral supplier — ­ sell the various non-growing components that floral designers use in making arrangements: ribbons, vases, baskets, floral foam, wreath, frames, stands and other supplies. This kind of business requires extensive inventory and an efficient distribution system. A florist business goes beyond selling flowers. Rather, what you are selling is a service of providing skillfully-arranged flowers. To succeed in this business, you would need to have all the elements in the process of providing a service: knowledge, materials, and labor. 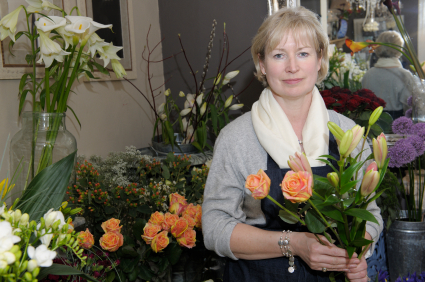 The key element needed in the florist business is the knowledge and skills in floral design. You must have basic knowledge of flowers and plants. Customers will ask questions and want advice, so an extensive knowledge of soils, plant nutrition, and light and temperature control will be handy. You should also know the proper methods of handling cut flowers. Of course, you must possess creative and artistic flair to come up with innovative flower arrangements. It would greatly help if you get some formal education in floriculture. 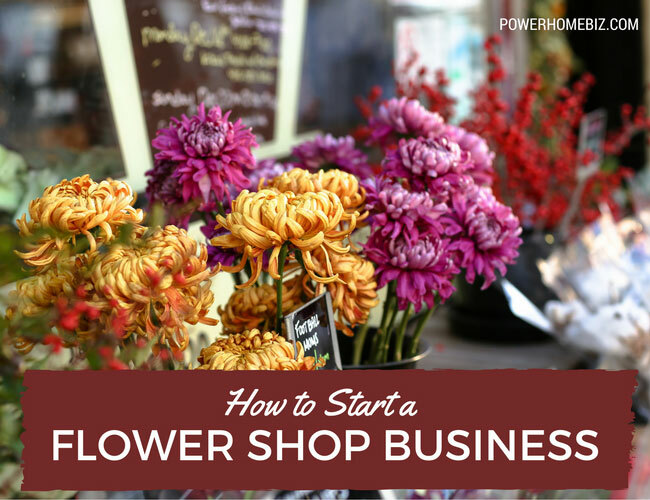 If not, try to gain experience in the business by working in another floral shop before venturing on your own. Experts even recommend that a prospective retail florist must gain at least three years of practical experience before starting their own business. Like any other business, you also need to have a solid understanding of business and economics. The flower business is more than arranging flowers. You need to know how a business runs ­ from buying, selling, record keeping, planning profits, managing costs, marketing and attracting customers. You need to balance the creative side of the florist business with the business management side. It is also important that you know how to deal with customers. This is a customer-oriented business and you will be facing the public all the time. A pleasant personality is a must. Repeat business normally accounts for a high percentage of a florist’s sales, so it is imperative that you know how to cultivate customer relationships. The materials you will need for florist services include a store or sales location, a refrigeration system, flowers, plants, floral supplies, and secondary products you want to sell. The location of your shop can make or break your florist business. Your shop must be situated in an area conveniently located for your customers. The location you choose must have sufficient drive-by and walk-by traffic. Check your budget, and try to find the best possible location that you can afford. Aside from cost, other factors that you must consider in finding the best location for your florist business are proximity to primary customers, availability of parking facilities, opportunities for future expansion, neighborhood quality, and personal convenience. If you plan to use your home as your place of business, your home should be on a well-traveled street in an area nearby retail businesses. Otherwise, you must seek out venues to increase your exposure to your targeted market, perhaps by launching a website or increasing your marketing and advertising budgets. And of course, you need labor to run this business. 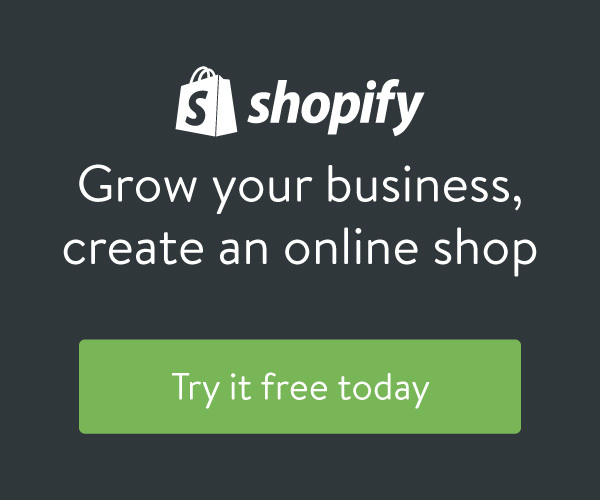 At the start, you may decide to run your florist business from home, with you doing the entire process of designing, selling, delivering and ordering new supplies. The income of a florist business depends on local need, competition, skills, and oftentimes, the location. 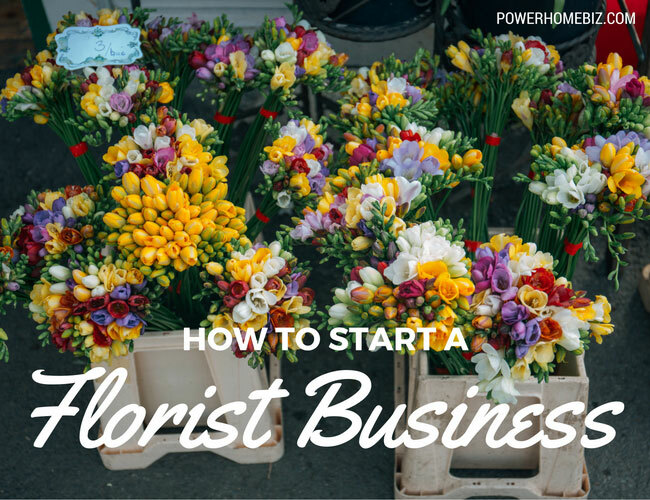 Dan Ramsey, in his book “Owning and Managing a Florist Business” estimates that an established florist operating full time from a good location, without employees, can sell about $100,000 to $150,000 in floral services annually. This level of income is usually achieved when you have developed repeat and referral business, have developed a target market, and has in place all your equipment and supplies. Very informative. I love this post and I feel very confident in starting a Florist Business. You’re actually a excellent webmaster. The site loading pace is amazing. It seems that you are doing any unique trick. Also, the contents are masterwork. You have performed a magnificent task in this topic! You’re really a just right webmaster. The site loading speed is amazing. It seems that you are doing any distinctive trick. Moreover, The contents are masterpiece. you’ve done a wonderful process on this subject! Nice blog. All information needed at one place. Would like to know more from you. Keep writing.